Youngman Richardson Co Ltd has recently been appointed exclusive New Zealand distributor for the full range of IHI mini excavators. The appointment is effective immediately and stock has been ordered for arrival in January. IHI is one of New Zealand’s leading mini excavator brands and is a proven performer in the 0.7- to 8-tonne market. "We are delighted to have been given the opportunity to market and distribute this iconic brand that has had a strong presence in the New Zealand market for over 25 years," says Youngman Richardson Co Ltd sales and marketing director, Ed Richardson. "This announcement comes hard on the heels of the company's appointment as distributor for Ammann compaction equipment. Once again this gives us the opportunity to demonstrate the effectiveness of our sales and after-market support package. Not only does Youngman Richardson stock over 38,000 line items of spare parts across its Auckland and Christchurch locations, but it is also acknowledged for its award-winning, same-day dispatch service and after-sales service programmes." The IHI line-up to be distributed through Youngman Richardson Co Ltd will include a full range of the current models, as well as some exciting new additions in the near future. Stock will be available in both of the company's Auckland and Christchurch locations. "We will be endeavouring to contact as many existing IHI customers as possible to assure them of our dedication to the brand," says Ed Richardson. "We pride ourselves also on our commitment to customer support and to back this up will have a full range of parts and attachments available. This will ensure all IHI owners are covered and have everything they need to operate efficiently. In addition, we would like to make those same customers aware of the fact that we already stock a wide range of rubber tracks to fit most IHI models." IHI is one of New Zealand's leading mini excavator brands and is a proven performer in the 0.7- to 8-tonne market. Reliability and ease of operation are the key benefits of this equipment, making it ideal for those worksites where space is at a premium. IHI mini excavators are also known for their operator comfort, with greater visibility, lower noise levels and an easy-to-operate single-operation joystick, amongst many other impressive features. 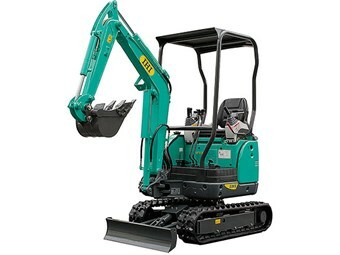 Often referred to as compact excavators, IHIs are perfect for construction, hire, drainage and landscaping applications. With zero tail swing and quick, easy set-up and mobility, IHI mini excavators not only give exceptional value, they do so with outstanding digging force and cycle time. Throughout each model there are enhancements to save precious time and make for greater levels of comfort. 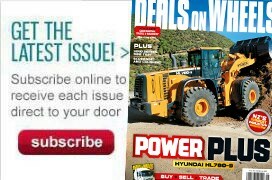 And with IHI's highly-regarded service and maintenance, owners can enjoy lower operating costs and greater productivity. For further information contact Ed Richardson on (09) 443 2436.